AIM Solder, a leading global manufacturer and recycler of indium metal products, announces today the release of AIM's Q3 2015 Indium Market Update. AIM Solder, a leading global manufacturer and recycler of indium metal products, announces today the release of AIM's Q3 2015 Indium Market Update. AIM’s quarterly review will provide perspective on the near term and long term trends in the indium market and will provide consumers with a summary on current issues impacting the market. This publication is available now. For a copy of the publication please contact Brian O'Neill at boneill(at)aimsolder(dot)com or call +1 (401) 429-5215. For more information on AIM’s complete line of advanced solder products and global technical services, including indium and other specialty materials, please visit http://www.aimspecialty.com. AIM manufactures and supplies solder and braze materials for the electronic, microwave, semiconductor, LED, and photonic industries. Our innovative products and technical support helps our customers to achieve the highest quality and yields in their production processes. 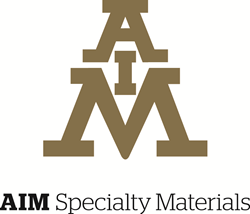 For more information about AIM Specialty Materials, please visit http://www.aimspecialty.com.